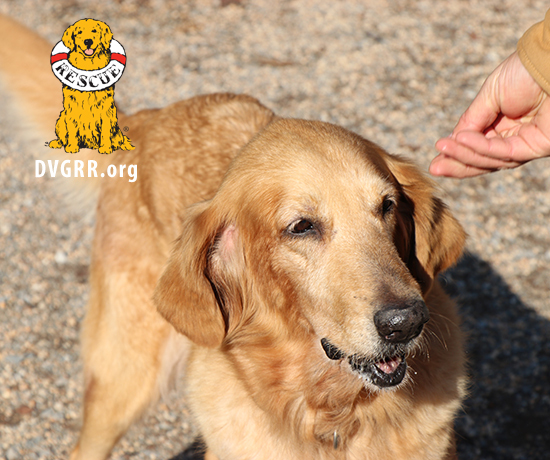 Blondie #5 is a senior Golden that arrived with us from Puerto Rico. This 11-year-old loves attention and petting… and food. She’s a bit arthritic but enjoys going for short walks and chasing gently tossed tennis balls. She is really sweet with people but does not like other animals. 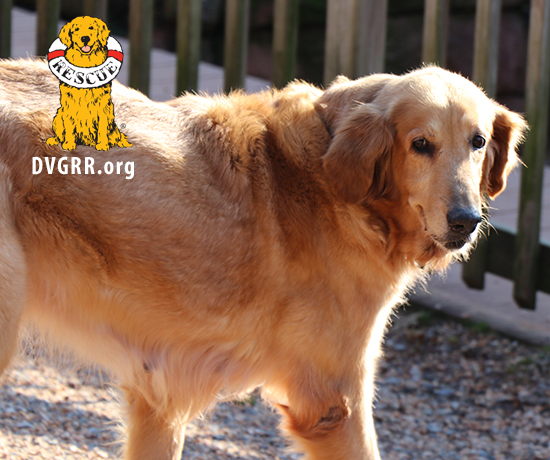 Blondie can walk past other dogs but cannot live with one. She is being treated for heartworm. 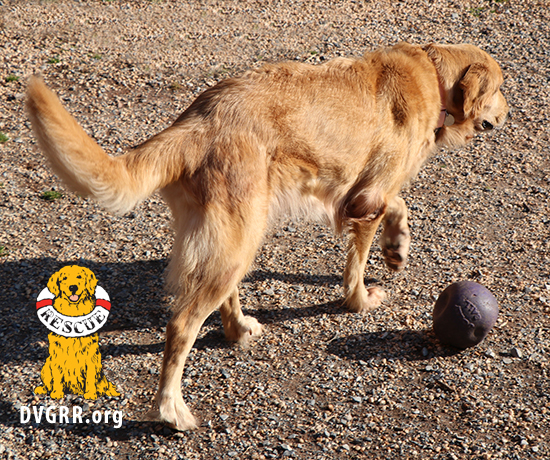 (Click here to learn more about dogs with heartworm.) Blondie’s Behavioral Assessment has been updated! Plus: A generous supporter has covered a portion of Blondie’s adoption fee. 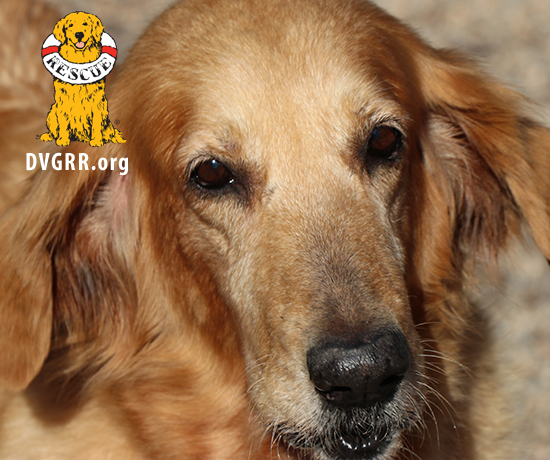 Visit our Adoption Section to learn how to adopt a DVGRR dog. 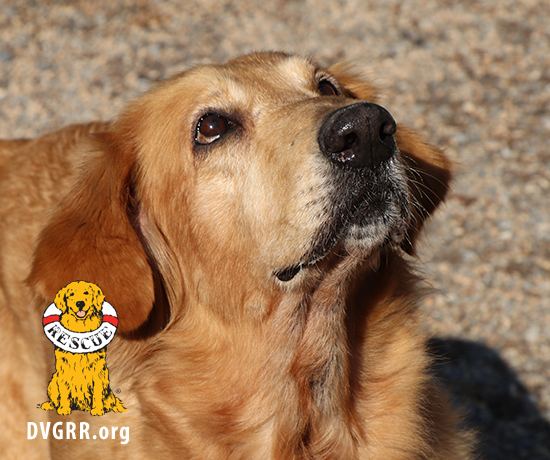 To better understand our adoption fee, visit our “Top Quality Care” page. $275.00 (plus 6% PA sales tax; adoption fees paid by credit card will include an additional 4% credit card processing fee.) Learn about the pre-adoption care we provide.